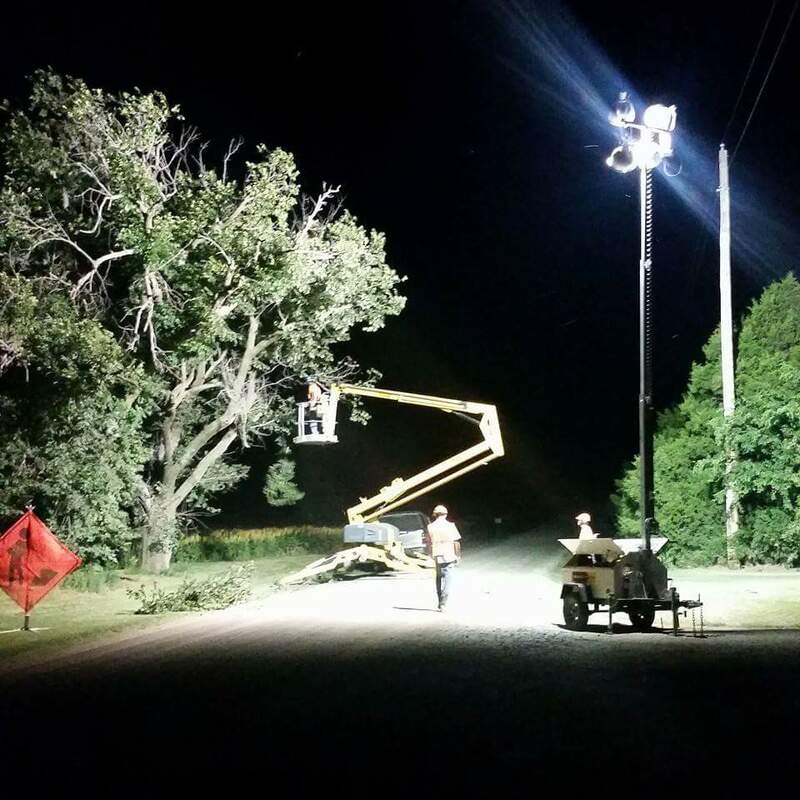 Nighttime tree trimming being done by Wichita Tree Service LLC employees. When Should Tree Trimming be Done? Tree trimming in the Winter is a good time to prune large live limbs. Pruning deciduous trees during dormancy is a good idea. This practice results in a vigorous burst of new growth in the spring and should be used if that is the desired effect. It is usually best to wait until the coldest part of winter has passed. Some species, such as maple, walnuts, and birches, may “bleed”—when the sap begins to flow. This is not harmful and will cease when the tree leafs out. If you are planning to remove a lot of limbs that are still alive, winter is the time to do it. 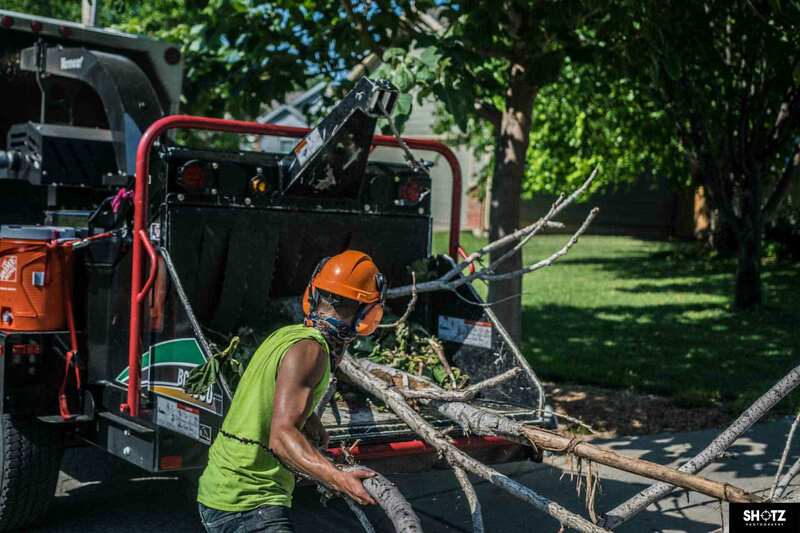 You can also trim trees in the summer but you might want to think twice about removing large amounts of live growth, this can stress the tree that might already be under stress from the dry hot summer days. In the summer light pruning of live growth is OK but you don’t want to go overboard and strip the whole tree. 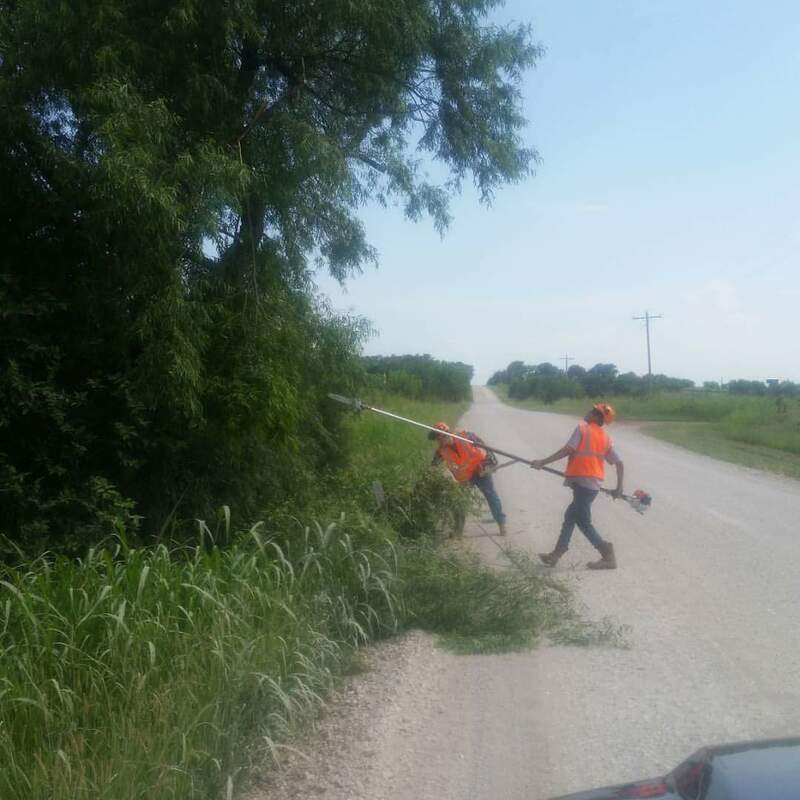 you especially want to avoid improper practices like “lion tailing” in the summer Summer is a Good time to clean a tree. Cleaning is a proper pruning method of removing dead limbs. it is easier for our arborists to see the dead limbs so they can more effectively get all the dead out of the tree. Tree Trimming in the fall is not a recommended practice but can be done.